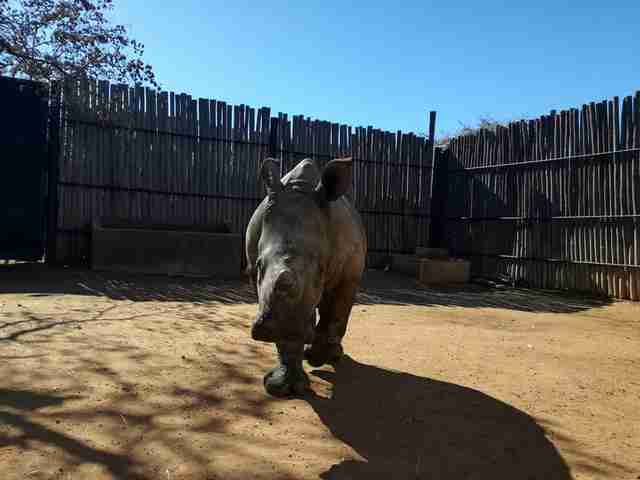 At only 8 months old, Davi the rhino has already faced unbearable heartbreak. He was supposed to spend his first three years at his mom’s side, nursing and growing up around her — but last week, that all changed. Poachers targeted and killed his mom for her horns, and it’s likely little Davi saw all of it happen. 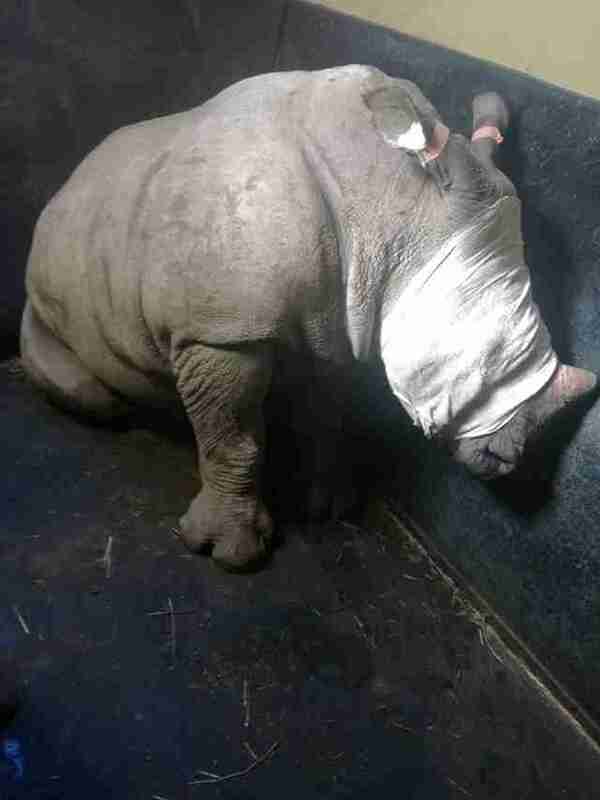 After rangers found Davi, rescuers carefully got him ready to travel to The Rhino Orphanage in South Africa. To avoid stressing him out with the noise of the transport truck and people speaking, the team gave him some earplugs and a blindfold to wear for the trip. Once they got little Davi settled into his room, it became clear to the caretakers just how traumatized he was. He spent his first night there desperately crying out for his mom. He was missing her so much. Unfortunately, Davi is not the first or last rhino calf to know this heartbreak. 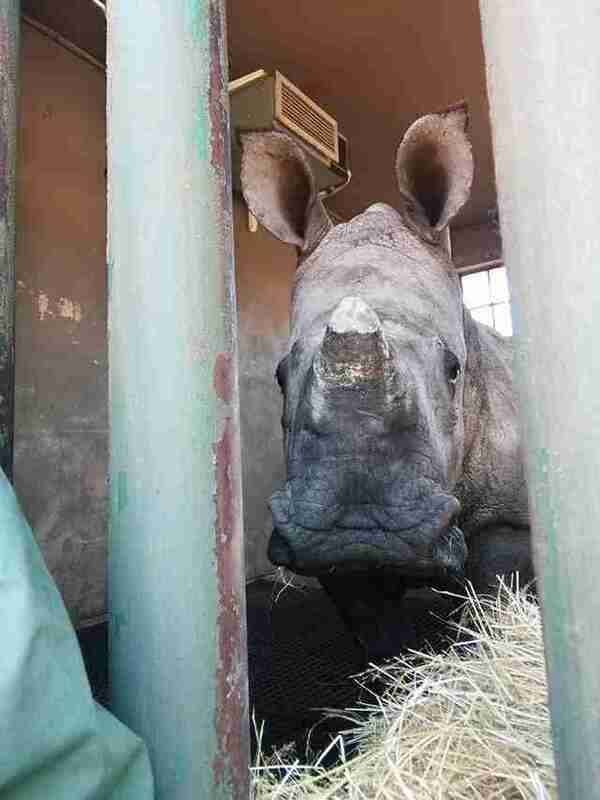 Wild rhinos are regularly targeted by poachers for their horns, which are then sold into the illegal wildlife trade. It is a prized ingredient in traditional Chinese medicine — although the horns are simply composed of keratin, the same protein found in human fingernails. With his caretakers at his side around the clock, Davi is starting to feel comfortable at the orphanage. He was so worried that he wouldn’t even drink milk in the beginning — but now, he’s finally taking a bottle. In just a week, Davi has transformed from lonely and scared to a sociable little calf. And it’s not just his caretakers he can lean on. 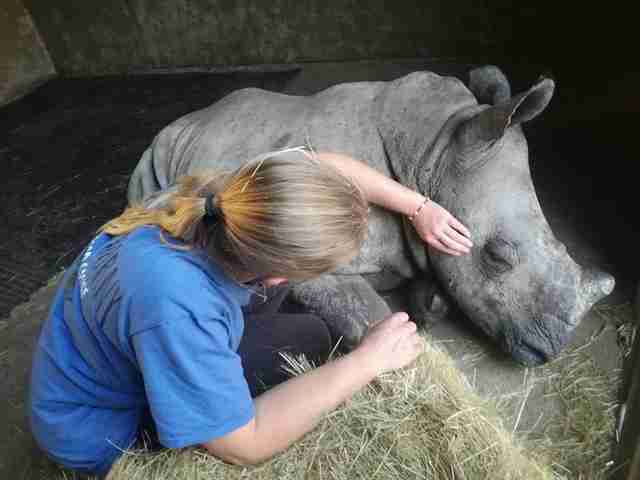 He’s recently met two other orphaned rhinos, Lolli and Lotti, whom he’s already befriended. 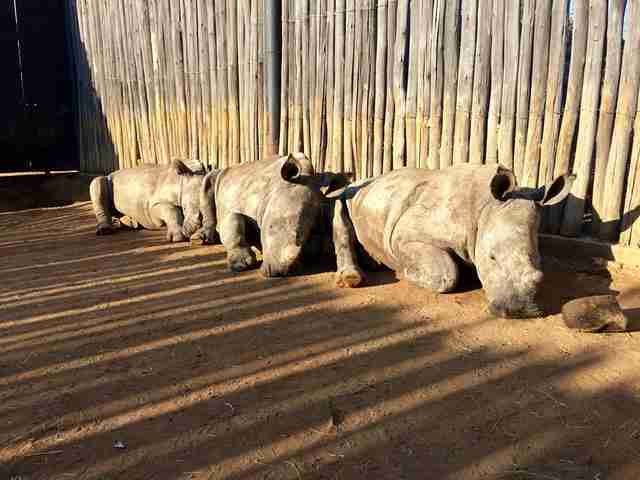 Like Davi, Lolli and Lotti both lost their moms due to poaching. They have been the best of friends since meeting at the orphanage — and it surely won’t be long until Davi becomes just as close with them. “Although little Davi still wanders off to a quiet corner and calls occasionally, he likes the closeness of his new companions,” caretakers said. 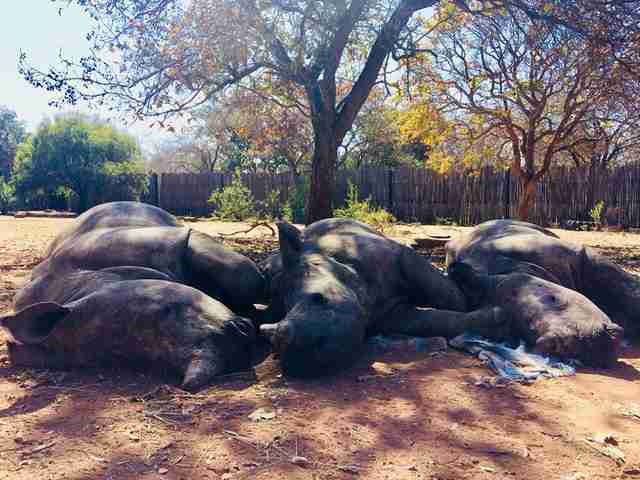 To support Davi’s care, you can make a donation to The Rhino Orphanage.